Program success cannot happen without a plan and you can’t afford to waste time, people, and resources to successfully execute that plan. Fortunately, we specialize in helping government and industry achieve their goals. We’ll help you visualize where you’re going and help you get there. We will position you to take advantage of opportunities and learn how to increase the efficiency of your program. When meeting with our clients, we tailor our services to meet their individual needs; this is important because every agency, company, and organization is different with a unique set of programs, resources, and people. Let us help you envision future possibilities and capitalize on new opportunities. We provide the quantitative and qualitative skills needed to set your plan, mitigate risk, achieve organizational effectiveness, recognize strengths, and positively move your program forward. Our overarching goal is to make sure your programs are successful. The experience of a CEO with the understanding of what it takes to set up a strategy and to execute it. The insight of years working with DoD and other federal agencies knowing what it takes to meet their expectations, and support their needs. The entrepreneurial spirit of a current small business owner working to meet requirements in a complex and technology driven environment. The unparalleled knowledge drawn from a leader who has worked in all areas of the business from analyst to program manager, business development to Operations Lead, and ultimately President/CEO. An understanding of how to win contracts from finding the opportunity to closing the deal. The understanding of what it means to build a company from $25M to $150M in just over six years and how to manage the impact on the company and its stakeholders. The critical skill of addressing and managing risk while ensuring a solid performance. The experience of managing programs and organizations when at its best, opportunities and contract dollars were nearly unlimited, as well as in an environment where the marketplace was controlled and programs faced financial and resource limitations. The corporate awareness of having worked for private firms, family owned firms, equity owned firms, and publically traded firms. The desire to create and manage new and evolving opportunities to make the program or organization a recognized success. Neil F. Albert is President/CEO of NFA Consulting, LLC which provides advice and support to government and industry service providers. 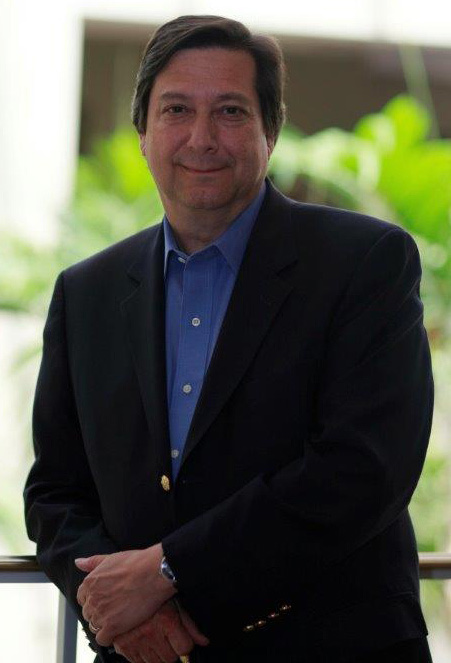 With over 38 years of experience Mr. Albert has been working, managing and leading multiple government and industry service support organizations in the areas of strategic planning, program management, cost/schedule analysis, project performance measurement, acquisition management, and risk assessment. Most recently, Mr. Albert was the Vice Chairman/CEO of MCR, LLC where he was responsible for the company’s strategic vision and guiding and aligning corporate activities with business development, senior leaders, and staff to focus on increasing and improving the company’s international, intelligence, and federal agency capabilities and offerings. Mr. Albert has been a leader in numerous associations and organizations which directly reflect the knowledge and experience he provides in NFA Consulting services, including serving as a founding member of the Defense Business Board in 2002. He has been president of organizations which are key to his success, including the National Estimating Society, Society of Cost Estimating and Analysis, College of Performance Management, and Project Management Institute’s (PMI) Earned Value Management Community of Practice. He has been a leader in the National Defense Industrial Association (NDIA) including one of the founders of the Industrial Committee on Program Management. He has been an ongoing member of NDIA’s Integrated Program Management Division Board of Directors. As a member of the Board of Directors for the Professional Services Council, he is a key member of their Executive Committee and is the Chairman of the Defense and Intelligence Executive Advisory Council. He was the Founder and Chairman of the Earned Value Management Community of Interest (EVM CoEye). He is also an Associate Director of the Energy Facility Contractors Group (EFCOG) and a member of the Capital Planning and Investment Control (CPIC) Forum Executive Advisory Committee. Author/Editor of “Work Breakdown Structures for Defense Materiel Items”, Military Standard – 881B, 881C, published 1993 and 2011. Co-Author, PMI Practice Standard for Earned Value Management (EVM) (2nd Edition) (2011). Key Contributor, Member of Review Board, Government Accountability Office – “Cost Estimating and Assessment Handbook for Government Programs” (1st Edition) (2005 – Present), published 2009. Key Contributor, Member of Review Board, Government Accountability Office – “Schedule Assessment Guide” (1st Edition) (2012 – Present), published 2015. Key Contributor, Member of Review Board, Government Accountability Office – “Technical Assessment Guide” (2014 – Present), draft published 2015. Editor and Co-Author, “Parametric Cost Estimating Handbook” (2nd Edition) (2003). Editor and Co-Author, “Parametric Cost Estimating Handbook” (3rd Edition) (2007). Member Review Board, PMI Practice Standard Work Breakdown Structures (1st Edition) (2008). (1st Edition) (1978), first official documentation for implementing Performance Measurement requirements in DoE, based on Department of Defense development and implantation.